New to SOMS this year! Jets vs Panthers on Sat, Nov 26th at MetLife Stadium. Tickets are $60 each and include a Jets winter hat and photo opportunity on the Jets Bench! 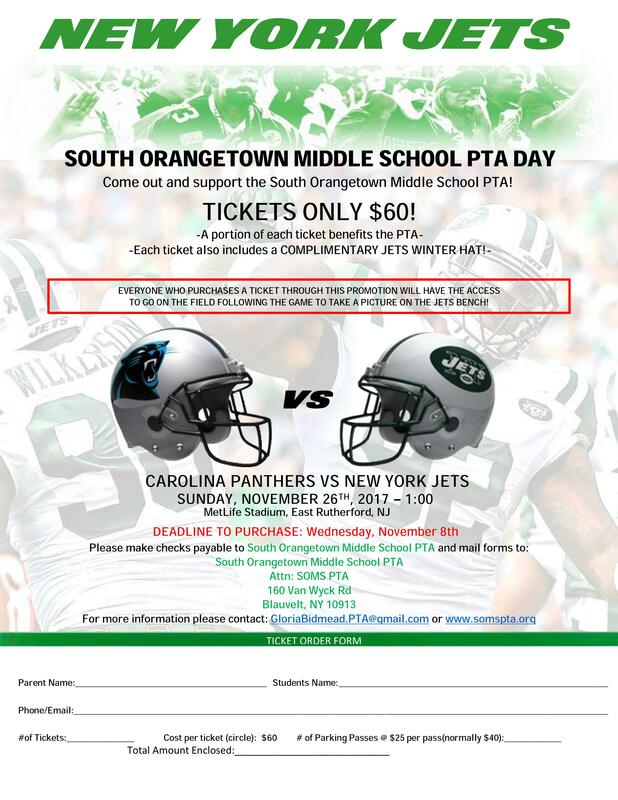 All proceeds benefit SOMS PTA and will support Assemblies, Activities and Events at South Orangetown Middle School. Orders due by Nov 8th. Questions? Contact Gloria Bidmead at GloriaBidmead.pta@gmail.com. Thank you for your support!